Santander UK, an arm of the Madrid-based Santander banking group, said on Tuesday that it is launching a new private banking operation in the UK for higher-net-worth clients. Santander Private, which is now up and running, offers “day-to-day banking, lending, investment services and financial planning products to clients with investments and savings of over £500,000, or an annual income of more than £250,000”, the bank said in a statement on Tuesday. 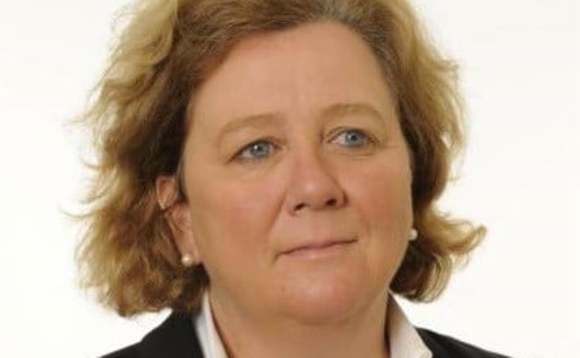 The new operation is being headed up by Charlotte Platts, pictured – who joined Santander UK last year from HSBC, Santander said – and will endeavour to provide “exceptional banking and wealth management services to private clients, business owners and entrepreneurs”. In a statement, Santander said it was launching the new service in conjunction with its launch of its new World Elite MasterCard, a variation on the basic MasterCard credit card that gives users certain VIP features, including emergency support, Wi-Fi hot spots and access to VIP airport lounges, in exchange for £15 a month. News of the new Santander private banking operation came days after it was revealed that New York-based Citigroup is ending free access for its UK customers to its standalone multi-currency accounts, and will now require UK clients who wish to hold linked US dollar and euro current accounts, accessible through a single debit card, to sign up to its wealth management service. A minimum investment of £150,000 is required to be a client of this service, known as Citigold Wealth Management, though a Citigroup spokesperson said the change wouldn’t affect many people. “We have notified a small number of UK clients that we will be closing accounts that they hold with us, who fall into this category,” the spokesperson added. Both moves reflect the growing interest in banking circles globally of catering for more affluent clients, and a declining enthusiasm for clients who don’t have a lot of money either to keep on deposit or two invest, as low interest rates and a rapid rise in the costs of doing business due to increasing regulation impact bankers. Last year, Coutts & Co, the UK-based private bank known for having the Queen of England as a customer, announced that it would raise the fee it charges clients to maintain a basic current account to £900 a year, from £600, while also getting rid of the free travel insurance it had been giving clients as a perk. For now, Santander Private is available in the UK only, although Santander Group’s Global Private Banking division has a presence in the U.S., Switzerland, the Bahamas, Italy, Spain, Portugal, Brazil, Mexico and Chile, the strengths of which Santander Private will leverage, the bank said. For example, clients will be able to make use of any of Santander’s more than 12,000 branches in 12 countries across the globe. As the new Santander Private service is currently being rolled out, all clients are to be assigned their own “dedicated private banker” from a team of more than 40 who will be based across the UK, and who, the bank says, “will be committed to identifying opportunities to protect and grow [their] clients’ wealth over the long term”. Santander Private clients will have access to digital online banking services as well as to support from specialist contact centres which will be available to them 24 hours a day, seven days a week. Santander UK, of which Santander Private is a part, is a division of Banco Santander SA, which says in its media releases that it maintains a “meaningful market share in 10 core countries in Europe and the Americas”, and is one o the world’s top banks as ranked by market capitalisation.